Minnesota was the first state to ban triclosan in hand soaps and body washes. Originally billed as an antibacterial, the chemical broke down into cancer-causing dioxins in the Mississippi River and proved to be ineffective compared to washing with plain soap and water. In a major victory for water quality and public health, the 2014 legislature made Minnesota the first state in the nation to prohibit the sale of triclosan in consumer hand and body washes – an initiative spearheaded by FMR. That law took effect January 1, 2017. Triclosan is an antibacterial product developed in the 1960s and introduced in 1972 for use in health care facilities. While the U.S. Food & Drug Administration has long acknowledged that there is no evidence that triclosan provides any health benefit to consumers, it has been added to a wide variety of household products – most notably liquid hand and dish soap. The impacts of triclosan on the Mississippi River were brought to the public’s attention through the 2012 State of the River Report. The report detailed research showing that triclosan from consumer products moves through wastewater treatment plants and into the river, where it transforms into cancer-causing dioxins and other carcinogens. Levels of triclosan-derived dioxins have increased by 200-300 percent in river sediment in Lake Pepin, and triclosan and its dioxin byproducts have also been found in increasing amounts in Minnesota lakes. Triclosan has been linked to increased allergy susceptibility and may pose risks to healthy human and animal reproduction, hormone development, and muscle function. Human exposure to triclosan is now common; about 75 percent of Americans test positive for triclosan in their urine. As public awareness of triclosan pollution grew across Minnesota, momentum toward a state solution began following Governor Dayton’s 2013 Executive Order barring state agencies from buying products that contained triclosan. After several years of legislative advocacy, FMR’s effort to phase triclosan out of soaps and body washes was signed into law the following year. This fall, the U.S. Food & Drug Administration announced a ban on triclosan and 18 other chemicals used in consumer hand and body wash products. The ruling was a national victory for environmental and public health advocates who have worked for years to secure federal action. While Minnesota law and the FDA's new rule don’t cover some other products that contain triclosan (ranging from toothpaste to shampoos and body lotions), they are a major environmental milestone worth celebrating. So, how should we wash our hands? Minnesotans should follow the recommendations of the Minnesota Department of Health and wash hands with warm water and plain soap. Additional information on hand washing is available through the Centers for Disease Control and Prevention. FMR wishes to thank our partners and friends who made this victory possible. More than 900 Minnesotans signed our petition in favor of this bill, and nearly 400 people personally contacted their legislators asking them to support this initiative. We are also grateful for the support and cooperation of the Minnesota Environmental Partnership, Conservation Minnesota, the University of Minnesota Center for Infectious Disease Research & Policy, Healthy Food Action, The Minnesota Medical Association, Rep. Diane Loeffler, Sen. John Marty, Rep. Melissa Hortman, Rep. Jean Wagenius, Rep. Rick Hansen, Rep. Joe Atkins, Rep. Denny McNamara, Rep. Erin Murphy, Rep. Paul Thissen, and the 168 bipartisan legislators who voted in favor of this important step towards cleaner water. Thanks to you, we’ll all have one more reason to celebrate the New Year. 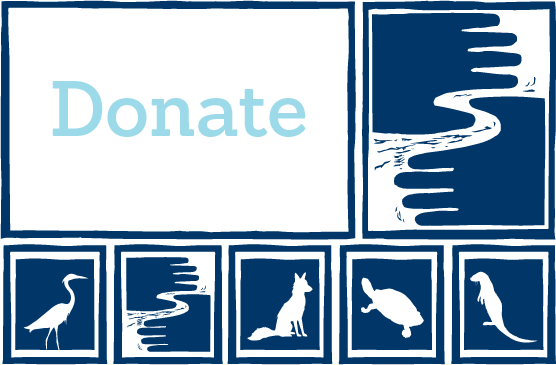 • Sign up to be a River Guardian to receive legislative email action alerts. • To learn more about the health of the Mississippi River, check out the 2016 State of the River Report.